We all want to have voluminous, shiny hair, strong nails and translucent skin! You need to be doing the right things on the inside as well as the outside and certain nutrients within our range are particularly beneficial. We also have some luxurious face and body lotions and creams to give you that extra boost on the outside. 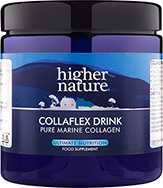 Collagen is the most abundant protein in the body and helps to give the skin, and especially the face, structure. The celebrities all agree that it seems to promote younger looking skin! Collagen helps form cushions at joint ends, ensuring comfortable movement. 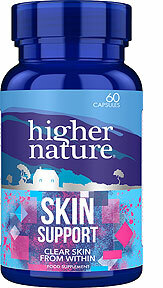 It is important for healthy skin, cartilage, joints, bones, ligaments, tendons, hair and nails. Not all fats are bad! 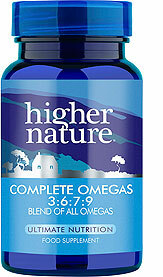 Some fats, especially omegas 3, 6, 7 and 9, are essential for good health. 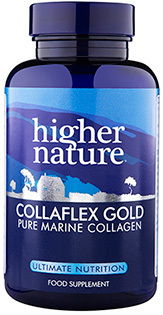 This powerful complex provides EPA, DHA, GLA and omegas 7 and 9, from Fish, Starflower, Sea Buckthorn and Virgin Olive oils. 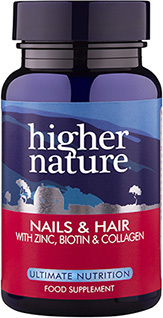 Specially formulated to provide particular nutrients for the health of your nails and hair. Give them the nutrients they’ll love!